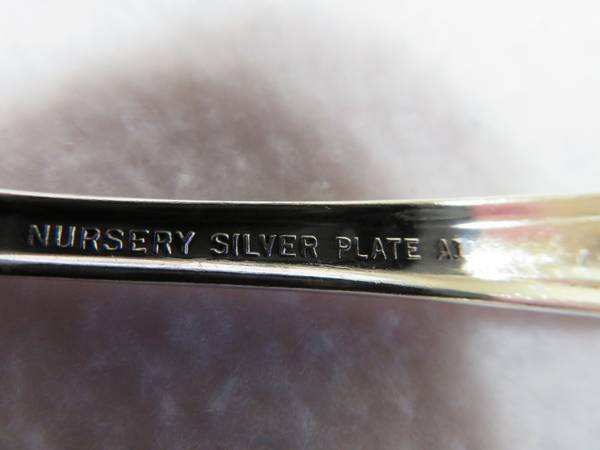 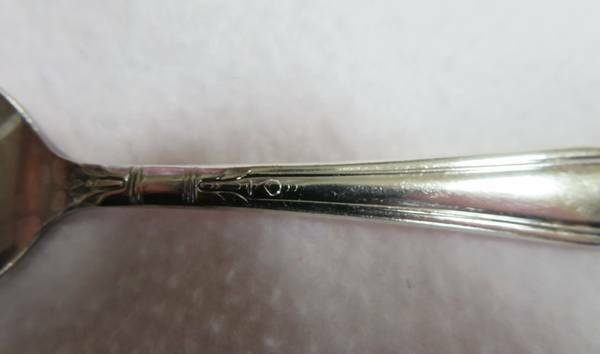 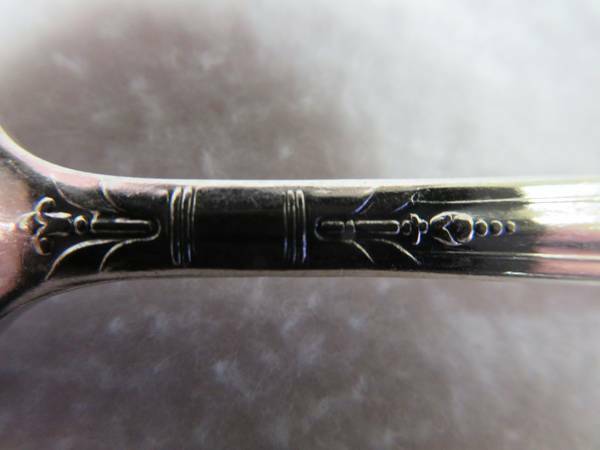 Sold as part of an estate, June Nursery by Oneida silverplated matching spoon and fork set in excellent condition. 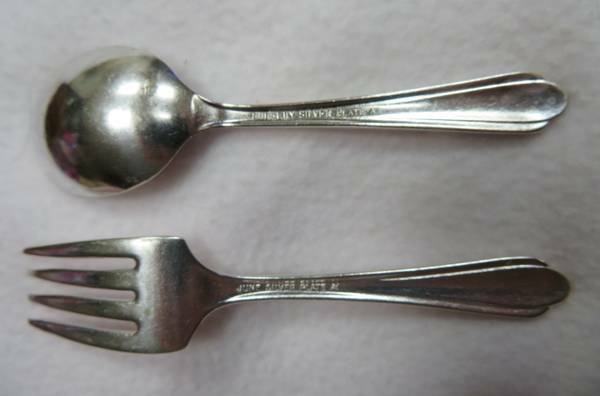 Spoon and fork are 4" long. 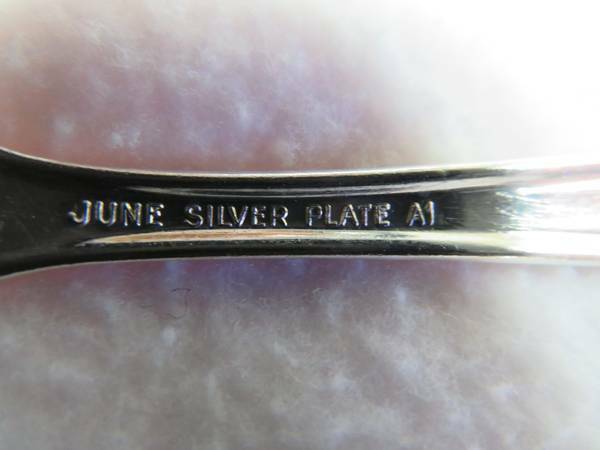 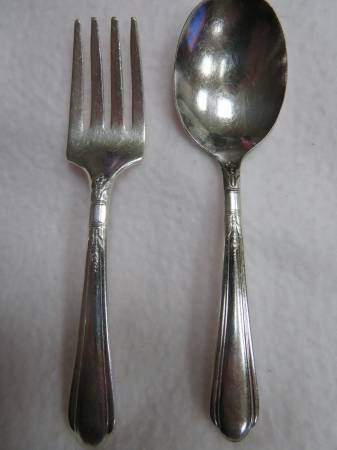 Silverplated spoon and fork set for $10.00 cash.